In this Presidential Address I would like to say something about some of the issues that face our world, Wales, the Anglican Communion and some of the issues that face us as a Province. So, as you can see, I don’t want to deal with very many matters!! Let us start with God’s world. The great difficulty when any church leader offers any comment on world affairs is, that he must be careful not to say that this is what his particular church believes. The fact of the matter is, that there may be a variety of viewpoints within his church on a particular topic. I have tried, as Archbishop, to be very careful about the comments I have made to the press, to make sure that they understand that these are my personal viewpoints. On the other hand, the job of any church leader is to, at the very least, make people think about matters of concern, even though that leader may be aware that there are diametrically opposed views to his own. Having issued that caveat, I would like to express my own concern about the Government’s apparent commitment to a long-term replacement for the Trident weapons system. This replacement is going to cost something like £25 billion. With that kind of money, we could prevent 16,000 children dying every day from diseases caused by impure water and malnutrition. The deaths of 16,000 children a day is the equivalent of 40 jumbo jets crashing everyday of every week. Our world would not tolerate that, just look at what happens when our airports grind to a halt, but we do tolerate hunger, poverty and impure water, and are prepared to contemplate spending our resources on weapons of mass destruction. There are moral, financial and practical questions that we need to face when parliament and the whole country hopefully, will have their say on this issue. The doctrine of threatened Mutually Assured Destruction, used during the Cold War years may have in the past averted a nuclear war, but has subsequently led to an escalation of nuclear weapons, way beyond the needs of deterrence per se. The inheritance of this era, in the form of Trident, seems an anomaly in the absence of a present nuclear threat from another country. Whilst other countries do indeed possess nuclear weapons, it has not been proved, that it is their intention to use them aggressively as part of their foreign policy. A replacement for Trident cannot be justified merely in the light of other countries’ possession of nuclear weapons without a clear indication of their intention to use them. Nor do I believe that a Trident replacement is necessary in order to protect Britain against the possibility of a future nuclear strike from an unnamed and at present unknown country, which might acquire nuclear weapons. Given the ‘special relationship’ between the United States and the United Kingdom we cannot conceive of a scenario whereby Britain alone would be attacked or threatened with nuclear weapons. In the post Cold War era world the doctrine of Mutually Assured Destruction has often been translated into first-strike language and attitudes. The replacement of Trident might encourage Britain to be drawn into first-strike pre-emptive thinking as an intrinsic part of its ‘defence’ culture. We think we might be the subject of a nuclear attack. We had better therefore get in there first. We have already adopted that stance in our dealings with Iraq. All that this does is to increase rather than reduce insecurity in our world. Moreover the continuing maintenance of, or replacement of Trident, provides a strong motivation for other countries to acquire nuclear weapons. If Britain argues, that the possession of such a weapon is part of our sovereign right or, that it enables us to be a player at the nuclear table, then we have to accept that other countries may demand this right and this role as justification for acquiring such weapons. Britain should take a leading role in giving new impetus to the non-proliferation treaty. Its rejection of Trident could inspire other countries to follow suit. I do not see how we can say to Iran that it ought not to have nuclear weapons whilst at the same time replacing ours. By publicly declaring that it will not replace Trident, Britain could set a moral international example in the name of establishing a global order with no or minimum dependence on nuclear weapons in the future. Britain’s own social needs for a peaceful and just society, based on adequate public services and reduced inequalities, are a far better use of the huge sums of money necessary for any replacement programme or for indeed maintaining present Trident performance. A serious debate in Parliament and in the United Kingdom as a whole is needed. What any right thinking person wants, is a just and peaceful world and, in the building of such a world, Britain could and should play a leading role, drawing upon moral, Christian and other faith beliefs to advocate an end to the possession of, as well as the threatened use of nuclear weapons. That would have widespread symbolic as well as real significance for the future of our world and country. Some of you may take a different view, but let us at least have a proper debate. The acquisition and possible use of nuclear weapons does not of course square at all with the Christian idea of a just war, which tries to set out the minimal conditions for allowing Christians to participate in war. The just war theory is not an attempt to glorify war or to say that war is good, but rather to set out limits as to what might be allowed, given that war is always evil but that under certain circumstances it might be necessary in order to prevent a greater evil. Some of the conditions for such a war are, that there must be the intention of establishing good or rectifying evil; all other alternatives have had to have been exhausted; the action has to be proportionate and a distinction made between civilians and combatants. A nuclear war annihilates, so wrongs cannot be put right and nuclear weapons do not distinguish between civilians and combatants. But then some modern non-nuclear weapons are not capable of such distinctions either, and that has been the problem in the Middle East, where civilians on both sides suffered disproportionately, with the launching of rockets indiscriminately by Hezbollah into residential areas in Israel, with the latter responding by bombing Hezbollah in those very areas of Lebanon where non combatants, children and the elderly were known to live on the grounds that terrorists might be hiding there. When that happens, proportionality flies out of the window and combatants are not being distinguished from civilians. As Dr Alan Billings in a radio broadcast said recently “since the Middle East is the spiritual home of three major faiths, they need to engage in dialogue by developing a new ethic of warfare where civilians are at great risk.” In other words, the Christian concept of a just war has broken down completely. Let me then move onto the Government of Wales Act, approved by Parliament in July this year. It is the most momentous event that has happened to Wales since Devolution in 1997 and before that, in a different sense, the Act of Union of 1536. You will have had a very useful summary in the Governing Body papers recently sent to you from David Lambert and Marie Navarro from the Cardiff Law School about its implications but let me highlight the significance of this Act. Now I realise that the Assembly has not got the law making powers of the Scottish Parliament, and some of us would have wished, that the Government had followed in full, the recommendations of the Richard Commission which would have given us a parliament on the same basis as Scotland. After all, that was an independent commission set up by the Government, comprising of people from every political party, to look at the future governance of Wales and it was a unanimous report. For various reasons, the Government refused to endorse it in full and we now have a rather cumbersome and clumsy method of governance in Wales which entails the Welsh Assembly petitioning the Secretary of State for Wales, who in turn asks the Government for time to introduce Orders in Council in Parliament, to give the Assembly powers to pass legislation within the boundaries of each order. Not withstanding that complicated way of setting about things, once an Order in Council has been made then the Assembly can make its own laws under the order, amending existing UK Acts of Parliament, repealing them and making new laws in their place, which could mean that gradually laws in Wales in the devolved matters could differ markedly from equivalent laws in England. You will note the example in David and Marie’s paper of an order relating to the ‘Protection and Welfare of Children in Wales’. Assembly laws under such an Order could dramatically change UK law in these areas.” Orders in Council can be made with 19 fields of law. They include agriculture, food, ancient monuments, culture, economic development, education, environment, health services, highways, housing, local government, social services, sport, recreation, tourism, town and country planning and the Welsh language. The UK Parliament will be able to continue to make laws for Wales, but is possible that when an Order in Council is made for a particular matter, the UK Parliament will restrict any further Acts within such matter to England only. The Act also separates the Assembly from the Assembly Government and therefore enables the Assembly to function in the same way as the Scottish Parliament, scrutinising the decisions of the Assembly Government, how it spends its budget and the way it carries out its powers. The Act changes the focus of attention from central Government and the UK Parliament in Westminster to Wales and especially Cardiff. Well you might say – why bother to have a parliament if we can do all this? Well, the process is also important, and if Wales is mature enough to have a legislature it ought to be responsible for law making itself and not have to petition the Secretary of State and Westminster for the right to do so, for both of these can turn down the request in particular instances. And it is a very complex process, because even if the Secretary of State agrees to such an Order he will first seek the advice of the Welsh Affairs Select Committee of the House of Commons and a Committee of the House of Lords. The Secretary of State will take their views into account before the Order in Council is debated in the House of Commons and in the House of Lords and only if then passed by both Houses of Parliament will the Assembly begin the process of itself debating whatever is under consideration. That to my mind is very tortuous even when the governments in London and Cardiff are of the same political hue. If they are not, and there can never be a guarantee that they will always be, relationships could be fraught and the governance of Wales would suffer as a result. Having said all that however a number of Orders are anticipated each year giving the Assembly powers to make laws which will not be subject to further Parliamentary consent. This means that there is an enormous opportunity for religious bodies and voluntary associations, to advise and assist the Assembly Government and the Assembly in formulating Orders in Council and the laws to be made under them will provide separate and different laws in Wales. This, therefore, gives us as a Church and Nation the unique opportunity to influence directly our own legislation. Lord Dafydd Elis-Thomas, the Presiding Officer, has asked the people of Wales to think about the kind of legislation it wants. So here is a huge potential for change and a chance for the Church’s voice to be heard. The Assembly Government and the Assembly will be looking for expertise and insights in helping it to formulate Orders in Council and equally importantly, the laws to be made under them. Let us now move to the Anglican Communion. I have just said that Christians hold a variety of different viewpoints on a host of moral issues. The only moral issue on which diversity does not seem to be encouraged in various parts of the Communion, is the issue of homosexuality. I am therefore glad and proud that the bishops of this Church have given a lead to our Church, that there is no one correct Christian viewpoint on this issue. In preparing this address I came across this quote from Professor Grace Davie, who holds the Chair in Sociology and Religion at the University of Exeter, “Could it be” she asks “that churches offer space for debate regarding particular and often controversial topics that are difficult to address elsewhere in society? The current debate about homosexuality offers a possible example, an interpretation encouraged by the intense media attention directed at this issue. Is this simply an internal debate about senior clergy appointments in which different lobbies are exerting their influence? Or is this one way in which society as a whole comes to terms with profound shifts in the moral climate?” She goes on to say that, “If the latter is not true, it is hard to understand why so much attention is being paid to the churches in this respect. If it is true, sociological thinking must take this factor into account.” It is an interesting observation about modern Britain, if not the Communion. It re-affirmed its abiding commitment to the fellowship of churches that constitute the Anglican Communion and sought to live into the highest degree of communion possible. It reaffirmed that it was in communion with the See of Canterbury, upholding and propagating the historic Faith and Order as set forth in the Book of Common Prayer. It went on to make a commitment to the vision of inter-dependent life in Christ, characterized by forbearance, trust, and respect, and commended the Windsor Report and process as a means of deepening understanding of that commitment. That brings me to our own Church here in Wales. There are two important issues, which we will need to decide in the near future. The first is the question of the ordination of women to the episcopate. My own view on this is very clear.  I have supported the ordination of women to the priesthood and the episcopate from the very beginning and that is where I stand. However, I again recognise that there are people who disagree profoundly with me. We cannot, however, avoid a decision on this for very much longer. We are the only Province in the British Isles not even to have discussed it. To that end, we have commissioned, as bishops, an edition of Theology Wales in order to set out all the arguments and you will have received a copy. The purpose of this document, is to initiate a period of discussion within the dioceses between now and next April. We will then have a general discussion of the issues in the April 2007 Governing Body and the bishops will bring forward a Bill in 2008 for the Church to make up its mind. That seems to me to be the right way forward. It enables a full discussion of the theological issues with the necessary time and space to do so and then enables the Church to decide what it wants to do. The other matter concerns the possibility of a permanent Archiepiscopal See. A Commission with members from every diocese has been set up to look again at this issue. Some of you may think that we have already looked at all this once and decided against it. Well, life in general and life in Wales especially, has changed in the last 10 years. The Commission will want to look at previous work in this area, but it has the freedom to come to whatever conclusions it chooses. All I would ask is that we take seriously whatever it recommends. We have a tendency in the Church in Wales to think radically but to act conservatively. Having a peripatetic Archbishop may be fine in theory and may seem a good system, giving every diocese in turn, a chance, to have the Archbishop. As a matter of fact, of course, that has not actually happened. But there are serious drawbacks with such an arrangement, in terms of continuity of administration and office facilities and access to both government and church offices apart from the personal demands made on the holder of the office. It could be that the Commission will offer a range of options – I simply do not know, I am not a member. All I ask is that whatever its recommendations, we as a church should take them seriously and examine them in depth. The worst possible outcome would be to give general assent to the need for change as we did last time and then vote for the status quo.